Fantastic. Drove a strong interest in Rome, history and Podcasts. Available at revolutionspodcast.com, iTunes, or anywhere else fine podcasts can be found. The history of The History of Rome...Why the Western Empire Fell when it did...Some thoughts on the future...Thank you, goodnight. In the last few years of the Western Empire a series of Emperors came and went. The cycle finally ended in 476 with the exile of Romulus Augustulus. In 468 the two halves of the Empire combined forces to dislodge the Vandals from North Africa.They failed spectacularly. From 461-465 the Western Empire was ruled by Ricimer through a puppet Emperor named Libius Severus. Not everyone in the west was supportive of the new regime. From 457-461, Majorian marched around trying to reassert Imperial authority over the provinces while Ricimer remained in Italy. Following the death of Valentinian III there was an Imperial power struggle in the West. In the midst of this struggle, the Vandals sacked Rome in 455 AD. In 451 Atilla the Hun invaded the West. He was repelled by a coalition of forces lead by the General Aetius. After placating Atilla with yet another indemnity, Theodosius II fell from his horse and died in 450, leaving the Eastern throne vacant. In the 440s, the Huns began to direclty attack the Roman Empire. In the 430s the Romans dealt with increasingly agressive and confident barbarian tribes living both inside and outside the traditional borders of the Empire. In the late 420s AD, the Roman General Flavius Aetius connived and backstabbed his way up the chain of command. The Emperor Honorius died in 423, leading to a brief civil war between the Theodosian dynasty and a self-proclaimed Imperial regime in Ravenna. Constantius III continued to lead the Western Empire as its defacto Emperor until 421, when he was officially elevated to the rank of Augustus. Unfortunately, this elevation was not recognized by Cosntantinople. Between 412 and 415 relations between the Romans and Goths shifted back and forth between alliance and antagonism. After failing to secure a deal with Honorius, Alaric sacked Rome in August of 410. It was the first time the Eternal City had been sacked in 800 years. Following the death of Eudoxia, the Praetorian Prefect Anthemius took control of the Eastern Empire and ran it wisely for the next decade. Meanwhile in the West, anti-barbarian policies will lead to the invasion of Italy by Alaric. On New Year's Eve 406 a horde of barbarians crossed the lower Rhine into Gaul. Their arrival would have severe consequences for the Western Empire. Alaric and his Goths invaded Italy in 402. After they were pushed out, Stilicho moved the seat of the Western Imperial Court to the city of Ravenna. In the late 390s, the generals and ministers who dominated Arcadius and Honorius battled with each other for control of the Empire. After winning the Battle of the Frigidus River, Theodosius stood alone as the last sole ruler of the Roman Empire. He would be die just four months later. In 392 Valentinian II was found hanged in his bedchamber, paving the way for another Roman Civil War. After defeating the usurper Maximus in 388 AD, Theodosius found himself facing an even greater opponent in Ambrose of Milan. From 383-387 the tense quasi-partnership of Maximus, Valentinian II and Theodosius ruled the Roman Empire. During those years Bishop Ambrose and Nicean Christianity pushed themselves to dominance over their Arians rivals. In 383 the General Magnus Maximus rose up in revolt against Gratian. The power sharing agreement that followed Maximus's victory would be negotiated in part by St. Ambrose, the influencial new Bishop of Milan. Following Adrianople, Theodosius was brought in to salvage the situation. After determining that he could not beat the Goths in battle, the new Emperor was forced to sign a peace with the barbarians that treated them as, gasp, equals. Operating with faulty intelligence and desperate to defeat the Goths on his own, Valens forced the disasterous Battle of Adrianople in August 378. In 375 the Huns exploded into Gothic territory, sending refugees fleeing for the saftey of the Roman Empire. Valens spent the late 360s and early 370s dealing with hostile Goths in the north and hostile Persians in the east. In 375 he would be left to face these threats alone when Valentinian suddenly died. in the late 360s and early 370s AD Roman mismanagment of three different regions in the Western Empire led to armed conflict. In the winter of 367 Britannia was hit from all sides by a coordinated barbarian invasion. It would be more than a year before the Romans were able to reassert control over the island. Shortly after Valentinian and Valens ascended to the throne, one of Julian the Apostate's maternal cousins seized control of Constantinople. Jovian extracted the Roman legions from the east at a heavy price. He then ruled the Empire for eight months before suddenly dying on his way to Constantinople in early 364. In 363 Julian launched an invasion of Sassanid Persia. He would die in battle just three months later. Julian came to power in late 361 and immediately set about trying to turn back the clock on both Church and State. Once he was established as a force to be reckoned with in the west, Julian revolted against Constantius II in 360 after the Emperor ordered half the Gallic army redeployed to the eastern frontier. After two years of sporadic war, Constantius II defeated the usurper Magnentius in 353. Following his victory the Emperor let his advisors talk him into executing first Gallus in 354 and then Claudius Silvanus in 355. Constantius and Constans shared the Empire for a decade until Constans was overthrown by a rebel general named Magnetius in 350 AD. The three sons of Constantine took control of the Empire following the death of their father and the murder of most of their extended family. Constantine was baptized on his deathbed after arranging a plan for succession. Live and direct from Old Rome! This episode brought to you live and direct from Constantinople! After defeating Licinius, Constantine found his dream of a united Christian Empire foiled by a very disunited Christian Church. War between Licinius and Constantine flared up again in 324 AD. This time Constantine would finish the job. Constantine and Licinius split up the Empire following the death of Maximinus Daia in 313. It did not take long for relations betweent the two Emperors to turn sour. In 313 AD, Maximinus Daia and Licinus fought for control of the Eastern Roman Empire. On October 28, 312 AD Constantine and Maxentius fought a battle at Rome's doorstep for control of the Western Empire. Prior to the Battle of the Milvian Bridge Constantine experienced visions and dreams that promised him victory if he embraced Christianity. In 303 AD Diocletian initiated the last and greatest of the Christian persecutions. Rome's economy was in disarray when Diocletian came to power and he initiated major overhauls to get the system running again. Over the course of his reign Diocletian overhauled the government, transforming it into a centralized bureaucracy run by career civil servants. Over the course of his reign Diocletian instituted a number of reforms to the military structure that helped transform the legions into a new kind of army. In the mid-to-late 290s the Imperial Tetrarchy was at war on multiple fronts. In the west Constantius undertook the reconquest of Britain, while in the east, Galerius fought a newly hostile Sassanid Empire. In 293 AD Diocletian and Maximian invited Constantius and Galerius to share in their Imperial burdens, forming what we today call the Tetrarchy. Immediatly after becoming the undisputed Emperor in 285, Diocletian elevated Maximian to serve as his Imperial colleague. The Crisis of the Third Century finally ended with the mini dynasty of Carus and his two sons. In 284 Diocletian rose to power, ushering in a new age in Roman history. After Aurelian's death, an old Senator named Marcus Cluadius Tacitus briefly reigned before the throne fell to Probus, who ruled from 276-282. Aurelian defeated the breakaway western provinces and reunified the Empire in 274 AD. The next year he was assassinated by officers who had been tricked into committing murder. In 272 Aurelian finally managed to bring the east back under Roman control by defeating Queen Zenobia of Palmyra. Aurelian became Emperor in 270 and immediatly faced an invasion of Italy by the Juthungi. After succesfully driving the Germans off, Aurelian turned his attention to building a new wall circuit around Rome to protect the capital in the future. Claudius Gothicus became Emperor in 268 and promptly lead the legions to victories against the Goths and the Alamanni. Unfortunately he died before he was able to reunify the Empire. The near simultaneous deaths of Gallienus, Odenathus and Postumus upset the political equilibrium in the late 260s AD. The 260s AD were bad for the Romans, but they could have been a whole lot worse had not Gallienus, Postumus and Odenathus each done their part to defend their respective corners of the Empire. Valerian and his son Gallienus did their best to hold the Empire together through the 250s AD, but after Valerian was captured by the Sassanids things quickly spiraled out of control. After the Battle of Abrittus, Trebonianus Gallus was proclaimed Emperor. After reigning for two years he was ousted by Aemilianus, who lasted less than a month on the throne before being ousted by Valerian. In 238, a revolt in Africa sparked a revolution in Rome that would eventually lead to six different men claiming the title of Augustus. After bungling a campaign in the east, Alexander headed to the Rhine where he was assassinated by Maximinius Thrax in 235 AD. Alexander was only 13 when he ascended to the throne in 222. With the help of his mother and a few key advisers, he managed to avoid being the kind of disaster that previous teenage Emperors had been. Elagabalus became Emperor in 218 AD at the tender age of 14. His short reign was defined by a scandalous private life and an obsession with the eastern sun god El-Gabal. Carcalla was killed by his Praetorian Prefect Macrinus in 217 AD. Macrinus then spent a troubled year as Emperor before the House of Severus came back to challenge his rule. Septimius Severus died in 211 while campaigning in Britain. He left the Empire to his sons, but their mutual hatred for one another meant that one of them was going to wind up dead. After defeating Clodius Albinus, Septimius Severus turned over daily administration of the Empire to his Praetorian Prefect Gaius Plautianus, while the Emperor himself went looking for further military vicotries in Parthia. Septimius Severus became the undisputed Emperor of Rome after defeating Pescennius Niger in 194 and Clodius Albinus in 197. 099- What Evil Have I Done? After buying the Imperial throne, Didius Julianus only remained in power for 66 days before being ousted by Septimius Severus. After Commodus was assassinated, Pertinax reigned for 86 days. He was murdered by the Praetorian Guard in March 193 and the Imperial throne was auctioned off the highest bidder. Commodus went off the deep end around 190 AD and was finally killed by his inner circle in 192. The reign of Commodus turned on a botched assassination attempt orchestrated by his sister in 182 AD. Marcus elevated Commodus to the position of co-Emperor and then died a few years later while campaigning in the north. In 175 Avidius Cassius led a brief revolt in the east that forced Marcus to postpone his final triumph along the Danube. The Romans fought a series of campaigns against a coalition of German tribes from 167-175. They were on the verge of total victory when news arrived of a rebellion in the east. After some initial setbacks, Marcus sent Lucius east to deal with a suddenly critical war with Parthia in 162. Marcus Aurelius was destined to become Emperor, but his insistence that Lucius Verus share the honor came as a surprise to everyone. In which I talk for way too long about where the best tin deposits in the Roman Empire can be found. Life in Rome began at dawn and lasted until sunset. Work was done in the mornings while the afternoon was reserved for recreation. With Roman education leaving much to be desired, many citizens found enlightenment in the eastern mystery cults or Greek philosophy. The Roman world was divided between slaves, freedmen, and free citizens of every economic class. Gross inequality though was the order of the day, with the Emperor himself controlling the lion's share of the Empire's wealth. Antoninus's reign is often pointed to as the golden age of the Roman Empire. In many ways the assessment is correct, though unresolved issues would come back to haunt his successors. After returning to Italy in 134 Hadrian spent a final few miserable years trying to plan the long term future of the Imperial dynasty before dying in 138. Hadrian's relationship with the teenage boy Antinous raised eyebrows even in permissive Ancient Rome. His relationship with the Jews raises eyebrows even today. Hadrian's reign got off to a rough start following the political murders of four ex-consuls. The new Emperor would eventually settle in though and set out on his first grand tour of the Empire in 121. Though Hadrian's career had long been guided by Trajan, when the Emperor died in 117 he still had not named Hadrian heir. Trajan greatly improved the infrastructure of the Empire and finished his reign by conquering much of the Middle East. After Trajan ascended to the throne in 98 AD he fought two wars against the Dacians, finally annexing the country in 106 AD. Nerva's brief reign was stormy, but his choice of Trajan as heir was inspired. Domitian attempted to emulate Augustus, but his heavy-handed treatment of the Senate earned him many enemies. Meanwhile, his focus on frontier defense brought charges of cowardice and his treaty with the Dacians was seen as a humiliation. Domitian had spent his life in the background, but in 81 AD he found himself Emperor and soon demonstrated that he had very strong ideas about how to wield power. Titus succeeded his father to the throne in 79 AD, but ruled for only two years before dying of a sudden infection in 81. Throughout the reign of the Flavians, Agricola campaigned in Britain to Romanize the island. Vespasian served as Emperor from 69-79 AD, stabilizing the Empire after a year of Civil War. Vitellius's reign was underminned by internal squabbling, allowing Vespasian's army to sieze Rome in December 69 AD. Marriage was one of the key institutions of Roman culture and many of the traditions surrounding weddings persist today. The personalities of each of the men who vied for the throne in 69 AD had a major impact on how events unfolded. In 66 AD the Great Revolt broke out in Judaea, leading Nero to appoint Vespasian to crush the uprising. But the Emperor did not live to see the end of the conflict- in 68 AD he committed suicide after a palace coup. Nero's popularity with the people began to wane in the early 60s AD. Things got so bad that after the Great Fire of Rome swept through the city, many held Nero responsible. Between 58 and 63 AD Rome dealt with a major conflict over the Kingdom of Armenia and a revolt in Britain led by the warrior Queen Boudica. After Nero came to power he was dominated by Agrippina. But it didn't take long before the 16-year-old Emperor got tired of his mother telling him what to do. Claudius turned out to be one of the more successful Emperors in Roman history, but unfortunately in 54 AD he was assassinated to make way for one of the worst. Though Claudius had great success in his public life, his private life was a different story. Each of his marriages ended in either divorce or execution. Claudius became Emperor after the assassination of Caligula in 41 AD. Far from a bumbling fool, Claudius turned out to be capable and dedicated ruler. Caligula was insane. Luckily for the Romans, he wielded absolute power. After the death of Tiberius's son Drusus, Praetorian Prefect Lucius Sejanus's influence grew exponentially. Sejanus was the defacto ruler of Rome from 26 AD until his fall from power 5 years later. Tiberius's final years were consumed with treason trials and private licentiousness. After he died in 37 AD, the infamous Caligula ascended to the throne. The early years of Tiberius's reign were defined by his growing jealousy of his nephew/adopted son Germanicus. After winning victories on the far side of the Rhine, Germanicus was sent east, where in 19 AD he died under mysterious circumstances. The Julio-Claudian family was rife with conflict, but nothing compared to the battle fought against the Germans in the Teutoburg Forest. Augustus promoted his steps sons Tiberius and Drusus to high office long before they were technically eligible. He hoped they would share power with him until Gaius and Lucius Caesar came of age, but Drusus died young and Tiberius went into self-imposed exile. After attaining power, Augustus set about reforming the Empire. The Senate bestowed upon Octavian the title Caesar Augustus during the constitutional settlement of 27 BC. Four years later Augustus and the Senate altered their power sharing agreement. On Sept 2, 31 BC Octavian defeated Antony at the Battle of Actium. Antony and Cleopatra fled back to Alexandria where they committed suicide the next year, following Octavian's invasion of Egypt. After Antony failed to conquer Parthia, the Triumvirate partnership broke down, leading to a declaration of war. After winning the Battle of Philippi Antony and Octavian divided the empire into two halves. Antony took control of the east where he formed an alliance with Cleopatra, while Octavian commanded the west. In 43 BC Marc Antony, Octavian and Marcus Lepidus formed the Second Triumvirate. After initiating proscriptions to raise funds and purge their enemies, the Triumvirs headed east, where they defeated Brutus and Cassius at Philippi. Caesar posthumously adopted his great nephew Gaius Octavius and the 19-year-old was thrust into the center of Roman politics. In the months following the assassination Octavian and Mark Antony vied for the support of the legions. In the last months of his life, rumors swirled about Caesar's monarchical ambitions. On the Ides of March 44 BC, a group of Senators put the issue to rest by assassinating Caesar during a session of the Senate. Caesar took the overland route back from Egypt back to Rome and along the way pacified what little resistance he came across. After a brief stay in Italy he sailed for North Africa where he defeated the regrouped Republican army. Having emerged from the Civil War triumphant he returned to Rome and began his ambitious reform programs. Following a setback at Dyrrachium, Caesar decisively won the Battle of Pharsalus in 48 BC. After defeating Pompey, Caesar sailed for Alexandria, where settled a civil war by placing Cleopatra on the throne. In 49 BC Caesar led a single legion across the Rubicon River, sparking a civil war that would lead to the death of the Roman Republic. After beginning his proconsulship of Cisalpine Gaul in 58 BC Caesar was asked to halt the advance of a migrating Celtic tribe. He managed to turn them around, but was immediately called to face an even deadlier threat at the banks of the Rhine River. In 59 BC Julius Caesar served a controversial year in the consulship. He pressed for land and administrative reforms the conservative Senate opposed. Julius Caesar had an eventful career on his way up the Cursus Honorum. He won the Civic Crown in Asia, was captured by pirates on his way to Rhodes, and served as Governor of Hispania Ulterior. In 63 BC an embittered two-time consular candidate named Catiline conspired to overthrow the Roman government. He was stopped by Rome's greatest politician and orator, Marcus Tullius Cicero. After clearing the Mediterranean of pirates in 67 BC Pompey was put in charge of the war with Mithridates. He promptly conquered his way to Jerusalem. From 73-71 BC a gladiator named Spartacus led a slave revolt in southern Italy. Despite defeating the Romans on numerous occasions, the slave army was eventually defeated by Marcus Crassus (with an unsolicited assist from Pompey). After Sulla's death two men emerged as the vanguard of Rome's new political generation: Marcus Crassus who would become Rome's richest man and Pompey the Great, who would become Rome's greatest general. In a few years these two men would join forces with Julius Caesar to form the first Triumvirate. Sulla returned from the east and after winning a short Civil War was made Dictator for Life. After purging his enemies and reorganizing the consitution he inexplicably stepped down in 80 BC. It was inevitable that the Romans and Cartheginians would run into each other one day. Many of the traditions that surround modern Christmas have their roots in Saturnalia and the Feast of Sol Invictus. The Greek cities of southern Italy called on King Pyrrhus of Epirus to protect them from Roman encroachment. Though Pyrrhus was undefeated in battle, his victories were so costly that he was forced to withdraw from Italy in 275 BC, leaving Rome in control of Magna Graecia. Rome battled a combined army of Samnites, Etruscans, Umbrians and Gauls for control of Italy. At Sentinum, the two sides fought the largest battle in Italian history up to that point. After a five year break, hostilities resumed between the Romans and Samnites. Despite early setbacks, Rome eventually emerged victorious in 304 BC. During these years a controversial politician, Appius Claudius, initiated a series of ambitious public works projects that advanced Roman civilization. After a decade of peace, the Romans and Samnites returned to war. The early years of fighting went well for Rome, but in 321 BC they were handed a humiliating defeat at Caudine Forks. The Roman army abandoned the Greek phalanx in favor of a new system based on a three line deployment organized by age and experience. For hundreds of years the Roman Army used the Greek phalanx, but during the Samnite Wars they were forced to develop a new distinctly Roman system. The Romans fought a final war against their Latin neighbors from 340-338 BC. The Romans won a decisive victory and the Latin League was abolished once and for all. From 343-341 BC Rome fought a brief war against the Samnites, a powerful hill tribe who would plague the Romans for the rest of the century. The Romans won an inconclusive victory, but the war was only the opening salvo in a long running struggle between the two peoples. In the decades after the Gauls abandoned Rome to its fate, the Romans were forced to battle both external threats and internal sedition. The Plebes, saddled with debt from the reconstruction, forced through reforms in 367 BC that finally gave them access to the most powerful office of state: the Consulship. Soon after the war with Veii, Rome was sacked by invading Gauls. The event traumatized the Romans and left their city in ruins. It would be the last time a foreign army breached the walls until the fall of the empire 850 years later. Economic necessity forced a final conflict with Veii, Rome's Etruscan rival to the north. After years of inconclusive fighting, Marcus Furius Camillus was appointed dictator and lead the Romans to victory. The years after the creation of the Twelve Tables were hard. Political discord, grain shortages and famine all conspired to weaken the city, but the Romans soldiered on in the face of seemingly insurmountable adversity. Cincinnatus was famously appointed dictator of Rome in 458 BC and then resigned soon after, securing his place in history as a paradigm of republican virtue. In 451 BC a committee was ordered to compile and then condense Roman law into a single text called the Twelve Tables of Law. Despite tyrannical machinations by the committee, the Twelve Tables secured an objective rule of law for all Roman citizens regardless of wealth or class. The infant Roman Republic faced many challenges as it grew into adolescence, both internally and externally. Most significantly class divisions led to a confrontation between patricians and plebs that resulted in the creation of the office of Tribune. The monarchy had been overthrown and the Roman Republic was now established. Despite the appearance of a free democratic republic, the Romans were beset with economic and political divisions that threatened the unity of the young State. The last days of the Roman Kingdom were ruled over by the three members of the so-called Tarquin Dynasty: Tarquinius Priscus, Servius Tullius and Tarquinius Superbus. The last proved to be such a tyrant that he was overthrown and monarchy was forever outlawed by the Romans. This week we cover the first three of Romulus's successors to the throne: Numa Pompulius, Tullus Hostilius and Ancus Marcius, who they were and what affect they had on the evolution Roman law and culture. Last time we discussed the events that lead to the birth of Rome, covering the arrival of Aeneas in Italy and the story of the twins Romulus and Remus. Today we will cover the remainder of Romulus's life, his questionable morality and ultimate disappearance from the world of men. 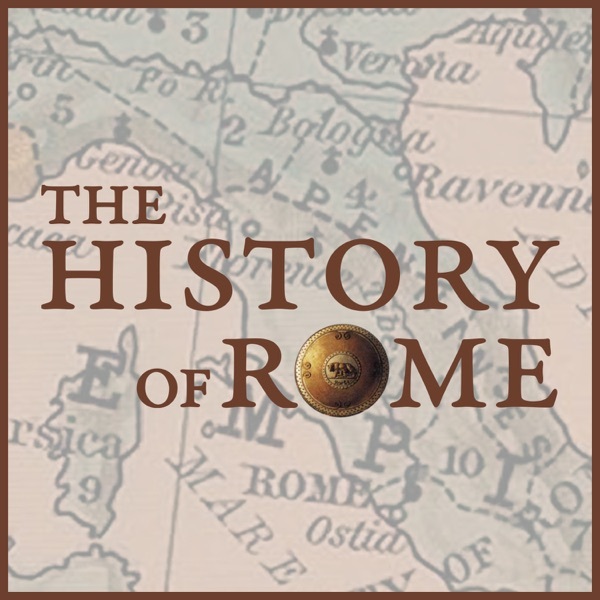 Welcome to The History of Rome, a weekly series tracing the rise and fall of the Roman Empire. Today we will hear the mythical origin story of Rome and compare it with modern historical and archaeological evidence. How much truth is wrapped up in the legend? We end this week with the death of Remus and the founding of Rome.